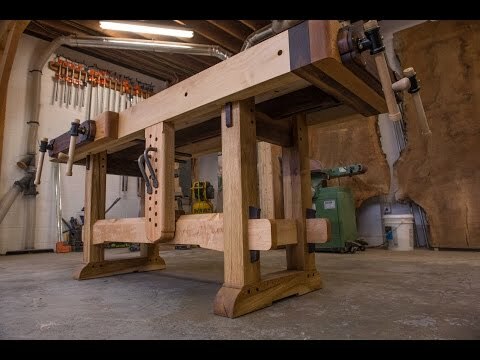 Here is a close up walk through of my woodworking bench and all it's features. The bench is made of Eastern White Maple with Walnut accents, Garry Oak legs and Red Oak vises. The Vice hardware is made by Veritas.